His one and only DREAM was to make the world a global community, to connect and unite people and enhance communication across ethnic and geophysical barriers. 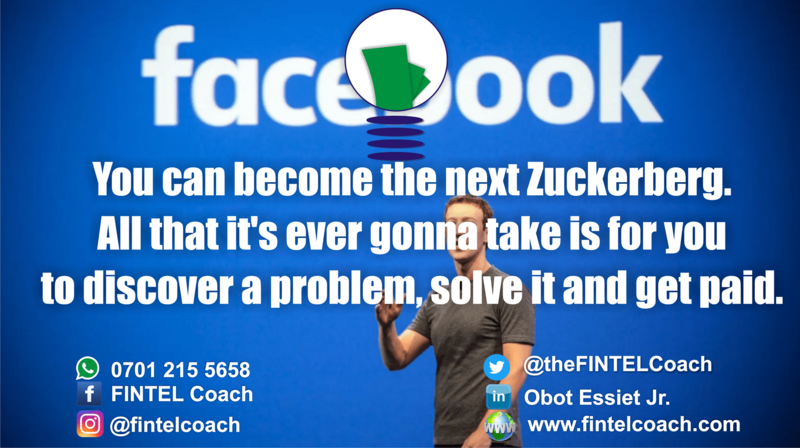 By realising that dream he was able to set up an everlasting pipeline of wealth💰 via the social media giant – Facebook. What problems can you spot around you or in your society? Can you think of a solution? Is the solution worth patronising? If so, congratulations, you could be the next Mark Zuckerberg. Next article Stop Whining, IT WON’T WORK!